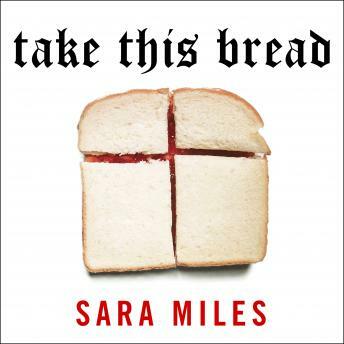 Raised as an atheist, Sara Miles lived an enthusiastically secular life as a restaurant cook and a writer. Then early one winter morning, for no earthly reason, she wandered into a church. 'I was certainly not interested in becoming a Christian,' she writes, 'or, as I thought of it rather less politely, a religious nut.' But she ate a piece of bread, took a sip of wine, and found herself radically transformed. A lesbian left-wing journalist who covered revolutions around the world, Miles was not the woman her friends expected to see suddenly praising Jesus. She was certainly not the kind of person the government had in mind to run a 'faith-based charity.' Religion for her was not about angels or good behavior or piety; it was about real hunger, real food, and real bodies. Before long, she turned the bread she ate at communion into tons of groceries, piled on the church's altar to be given away. The first food pantry she established provided hundreds of poor, elderly, sick, deranged, and marginalized people with lifesaving food and a sense of belonging. Within a few years, the loaves had multiplied, and she and the people she served had started nearly a dozen more pantries.